November Show at DaVinci Art Alliance! Come to DaVinci Art Alliance for an AMAZING two-person show. Works by Jaimee Newman and Joye Schwartz (daughter and mother-in-law). Show runs entire month of November! 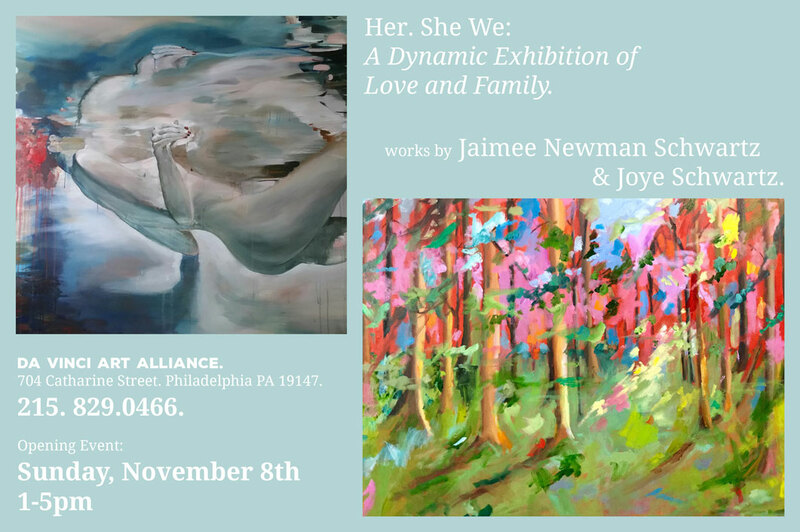 Her.She.We: A Dynamic Exhibition of Love and Family. DaVinci Art Alliance – 704 Catharine Street, Philadelphia, PA 19147. Opening Event: November 8th 1pm-5pm.